April is Jazz Appreciation Month! 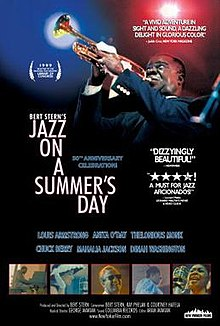 In celebration, ABCL invites you to a screening of Jazz on a Summer’s Day Saturday, April 20, 3pm-4:30 at Cary Library in the Large Meeting Room. Jazz on a Summer’s Day is a concert film about the 1958 Newport Jazz Festival. The film features performances by Louis Armstrong, Thelonious Monk, Anita O’Day, Dinah Washington, Chuck Berry, Jack Teagarden, Buck Clayton, Jo Jones, Armando Peraza, Mahalia Jackson, and others. In 1999, the film was selected for preservation in the United States National Film Registry by the Library of Congress as being “culturally, historically, or aesthetically significant”. Visit www.munroecenter.org to find out more and reserve a seat. 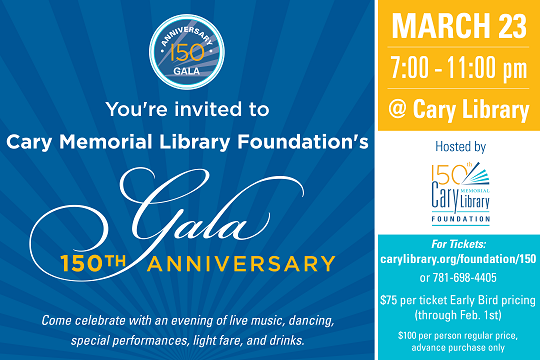 Tickets are now on sale for the Cary Memorial Library Foundation’s Gala for the Library’s 150th anniversary! The event takes place March 23, 7-11pm, at Cary Memorial Library. Early bird prices are $75/ticket until February 1, $100 thereafter. The gala will feature a live band, dancing, drinks & light fare, plus special performances, including by Regie Gibson, Cary Library’s Poet-in-Residence. 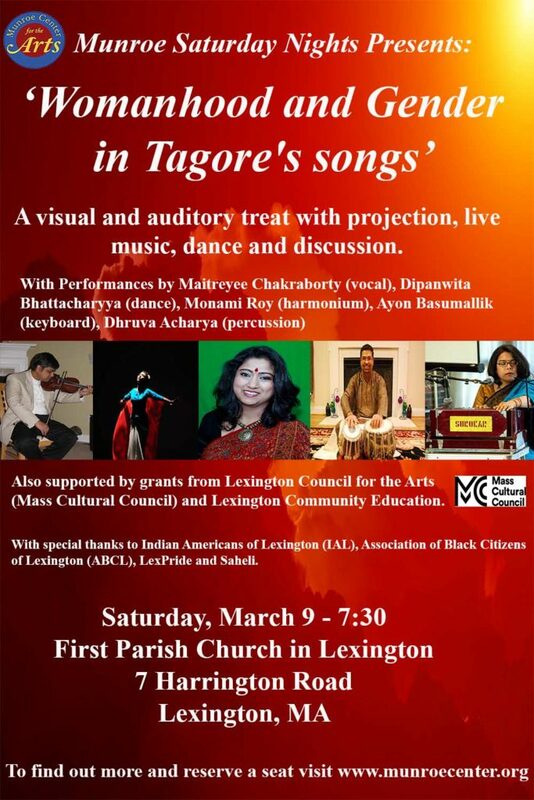 Tickets can be purchased at https://www.carylibrary.org/foundation. The Robert Gould Shaw and Massachusetts 54th Regiment Memorial was dedicated on May 30, 1897 and has been considered one of the nation’s greatest monuments. This talk will consider the history the monument represents and the significance of the monument to Boston and the United States. The speaker will be Robert Bellinger. 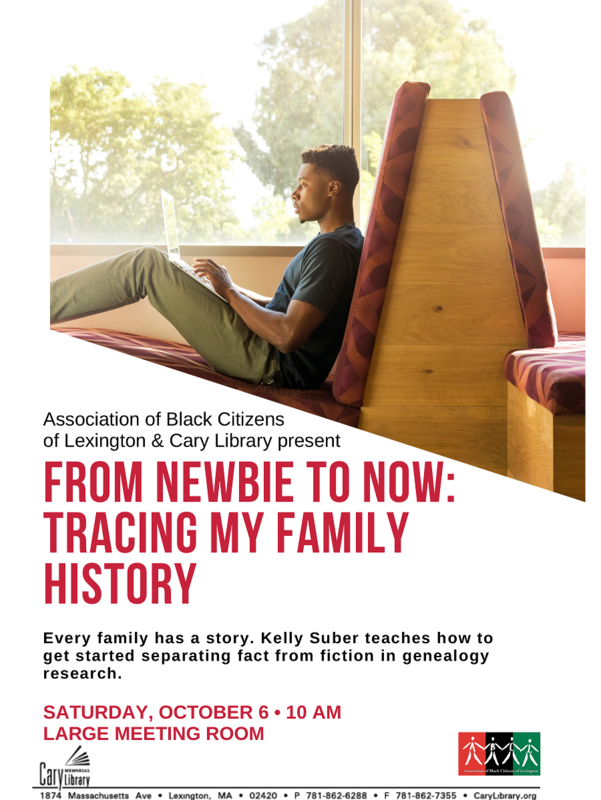 This program is a partnership between the Association of Black Citizens of Lexington (ABCL) and Cary Memorial Library. 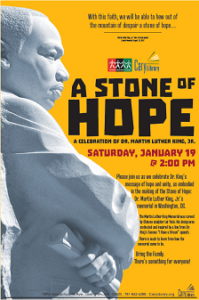 Join us as we celebrate Dr. King’s message of hope and unity, as embodied by the making of the Stone of Hope memorial in Washington, D.C. At 2:45 Jamie Hoyte will present on the Stone of Hope and its relevance to our world today. Following his presentation, a panel will reflect on the relevance of Dr. King’s legacy and message of hope in today’s world through the lens of economic, educational, racial, and social justice. (This should begin around 3:30.) Complementary activities for children will take place at the same time in the Large Meeting Room. An afternoon of family-friendly activities in celebration of the life of Dr. This event is for children in grades kindergarten through second grade, and is designed to coordinate with the activities for parents upstairs in the Living Room. The October meeting of the New England Chapter of the Afro-American Historical and Genealogical Society will be held this Saturday at Cary Memorial Library in the large meeting room (lower level). Attached is the meeting notice. All are welcome, whether you are a member or not. Please join the Association of Black Citizens of Lexington (ABCL) as we celebrate Nation Family History Month at Cary Memorial Library. Every family has stories of their history. The question is how to do the research to separate fact from fiction. Come hear the story of my journey and bring questions and resources that you have about your family. The Association of Black Citizens of Lexington (ABCL), in partnership with Cary Memorial Library Foundation and the Munroe Center for the Arts present Library After Dark with Atlas Soul. This musical event is Saturday, September 15 at Cary Memorial Library. Doors open at 7:00 pm. 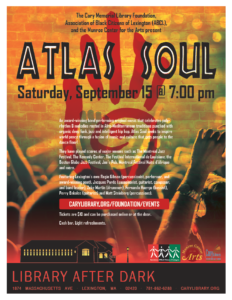 Atlas Soul is a multiple award-winning band performing original music that celebrates polyrhythm & melodies rooted in the Afro-Mediterranean traditions punched with organic deep funk, jazz and intelligent hip hop. Burning live performances with audience participation are their trademark! They have played scores of major venues such as The Montreal Jazz Festival, The Kennedy Center, The Festival International de Louisiane, the Boston Globe Jazz Festival, Joe’s Pub, Montreal Festival Nuits d’Afrique and more. They regularly sell out shows in the Boston area and beyond. Atlas Soul’s Library After Dark performance will feature Lexington’s own Regie Gibson (percussionist, performer, and award-winning poet), Jacques Pardo (saxophonist, guitarist, composer, and band leader), Zeke Martin (drummer), Fernando Huergo (bassist), Perry Bakalos (guitarist), and Matt Steinberg (percussions). Atlas Soul sings in French, Italian, Arabic, Hebrew and English, making their performances truly cross-cultural music experiences. The lyrics speak of love, ecology, oppression, happiness, immigration, poverty, spicy food! The band has produced five CDs : Chamsa, Mabrouka, Maktoub, Live@Regattabar, and Gypsy Wind and two singles: We’re Atlas Soul and My Heart. Cary Library is located at 1874 Massachusetts Avenue, Lexington, MA. There will be a cash bar and light refreshments. Tickets are $10 and can be purchased online at www.carylibrary.org/foundation/events or at the door. We expect this event to sell out so please purchase your tickets early! 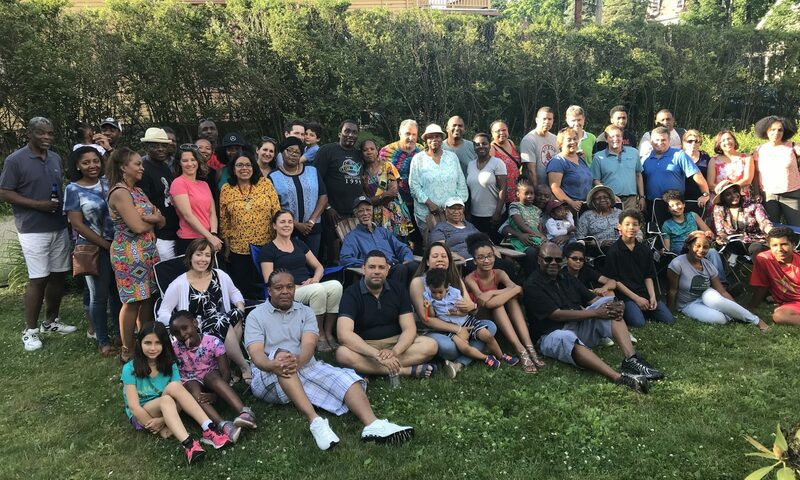 On June 30, 2018, ABCL is hosting an African Diaspora Cultural Festival in June in honor of Immigrant Heritage Month. 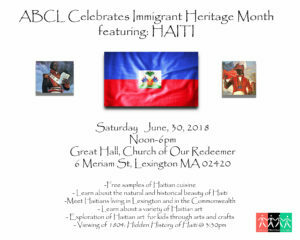 Haiti has been chosen as the country for the inaugural event at the Church of Our Redeemer in Lexington. 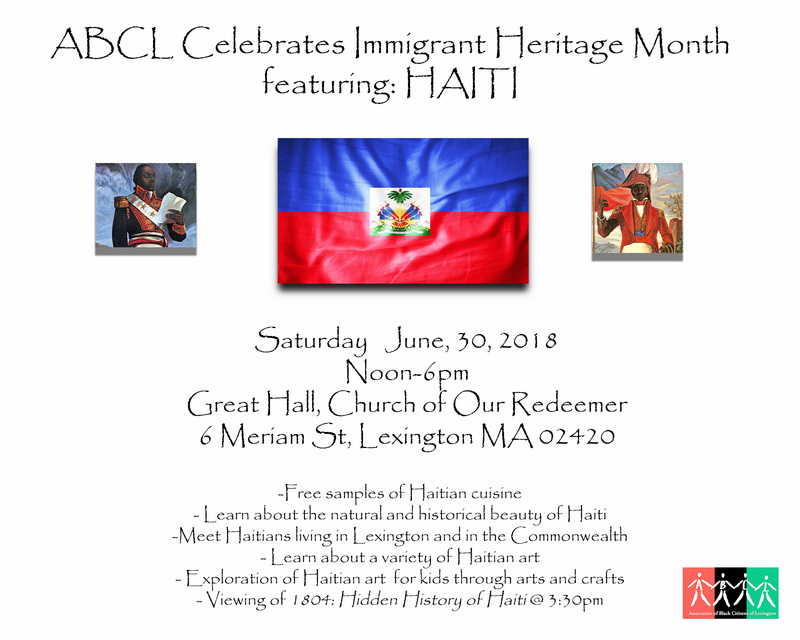 There will be samples of Haitian cuisine, natural and historical art, Haitians living in the community and the Commonwealth, arts and crafts exploration for children, and more! Join us in the Great Room (basement)! Plenty of parking in the rear of the church. To get a sense of why Haiti was chosen, watch the trailer for 1804: The Hidden History of Haiti at http://www.1804movie.com/ .